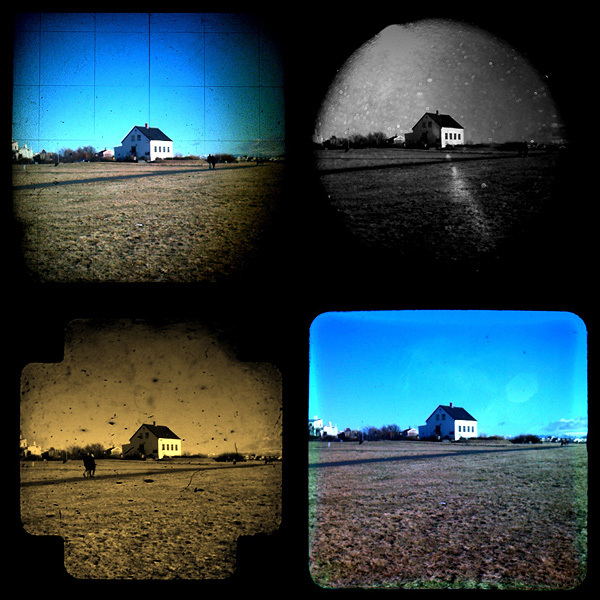 Through the viewfinder photography, or more simply TtV, is a photographic technique which consists in shooting photos with a camera through the viewfinder of another camera. Very often the top camera, the one used for taking the actual photo, is a digital one, while the preferred surrogate viewfinder, the one of the bottom camera, belongs to a twin-lens reflex (TLR) camera. The two cameras are usually connected together through a contraption made of cardboard boxes, plastic or plumbing tubes and other materials. Because of the angle of the TLR camera, pictures taken with this technique are mirrored and need to be rotated in order to be used, especially in presence of lettering. Also, since the format of the bottom TLR camera and that of the top camera differ, the first being usually square, some cropping is required in post-processing. TtV photography is characterized by intense framing, vignetting and presence of imperfections like dust, scratches or unexpected blurred areas. This photographic technique, allowing unique combination of old and new to obtain sometimes extremely stylized results, has become fairly popular with the advent of digital photography. Switch between back and front facing camera. 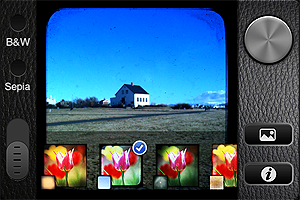 TtV Camera by Taplayer tries to bring to the iPhone the look and feel of Through the Viewfinder photography. What TtV Camera does, basically, is to stick a colored TtV texture on top of what you see through your viewfinder. The effects are all ready-to-use, you don’t have to make any adjustments. 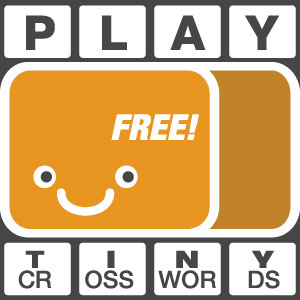 The app is as basic as it can get, with no sharing options or other extra features whatsoever. You open the app and point the camera at your subject of choice. From the menu appearing at the bottom, you select your effect among the fifteen available. Everything works in real time, so you have a precise idea of the effect that’s going to be applied before tapping on the shutter button. By tapping on the B&W or Sepia buttons, you can apply the same effects but with a desaturated or Sepia toning. When you are pleased with what is shown in the preview, you simply tap on the shutter button and your image is directly saved to the Camera Roll. The effects of Taplayer’s app are all right, especially some of them, but the fact the output resolution is so small greatly limits the usefulness of the pictures taken with TtV Camera. On their site, developers state the small resolution is at this stage necessary to make the real-time processing work smoothly. This may be true, but of course it doesn’t change the fact such resolution deeply affects the value of this app, especially if you compare it to other photography apps which provide convincing TtV look and higher resolution. Also, a recent release was supposed to fix an issue with rotated images. It’s true that the saved images are OK when they are saved now, but if you try sending them via email from the Camera Roll, for some reason they still appear to be rotated by 90 degrees. A few final words must be spent on the textures used in the TtV camera app: I could easily recognize some TTV textures released through Creative Commons under non-commercial license among those included in this app. After contacting the owners of the textures, I have gathered developers didn’t ask for permission to use the textures within their commercial app and they couldn’t be bothered crediting in any way the creators of the textures, either. I don’t think I have to stress the fact this is a highly improper behavior which should be opposed — but sadly, there is little to be done about it these days. Especially from the developer of a photography app whose purpose is to make use of somebody else’s efforts extensively as it happens with TtV camera, this is totally unacceptable. In this case, I could recognize the textures right away, but I am sure there are many other developers doing the same and happily getting away with it. I don’t know how this specific matter will be settled and frankly it’s not my role to do more than reporting an improper use. Licensing anything under Creative Commons doesn’t automatically mean the material is free to use for anybody under any circumstance. Non-commercial use means you cannot redistribute the material for a profit, unless of course you acquire a special permission to do so by the rights holder. Attribution is also necessary unless otherwise specified. I suggest to developers to carefully take a look at what different Creative Commons licenses imply before releasing their products.